Image of the planetary-mass companion VHS 1256-1257 b (bottom right) and its host star (center). Image of the planetary-mass companion GSC 6214-210 b (bottom) and its host star (top). Image of the planetary-mass companion ROXs 42B b (right, labeled ‘b’) and its host star (left, labeled ‘A’). Researchers Measure the Spin Rates of Bodies Thought to be Either Planets or Tiny “Failed” Stars. Taking a picture of an exoplanet—a planet in a solar system beyond our sun—is no easy task. The light of a planet’s parent star far outshines the light from the planet itself, making the planet difficult to see. While taking a picture of a small rocky planet like Earth is still not feasible, researchers have made strides by snapping images of about 20 giant planet-like bodies. These objects, known as planetary-mass companions, are more massive than Jupiter, orbit far from the glare of their stars, and are young enough to still glow with heat from their formation—all traits that make them easier to photograph. But one big question remains: Are these planetary-mass companions actually planets, or are they instead small “failed” stars called brown dwarfs? Brown dwarfs form like stars do—out of collapsing clouds of gas—but they lack the mass to ignite and shine with starlight. They can be found floating on the their own in space, or they can be found orbiting with other brown dwarfs or stars. The smallest brown dwarfs are similar in size to Jupiter and would look just like a planet when orbiting a star. Using the W. M. Keck Observatory on Maunakea, Hawaii, researchers at Caltech have taken a new approach to the mystery: they have measured the spin rates of three of the photographed planetary-mass companions and compared them to spin rates for small brown dwarfs. The results offer a new set of clues that hint at how the companions may have formed. “These new spin measurements suggest that if these bodies are massive planets located far away from their stars, they have properties that are very similar to those of the smallest brown dwarfs,” says Heather Knutson, professor of planetary science at Caltech and a co-author of the paper. The astronomers measured the spin rate, or the length of a day, of three planetary-mass companions known as ROXs 42B b, GSC 6214-210 b, and VHS 1256-1257 b. They used an instrument at Keck Observatory called the Near Infrared Spectrograph (NIRSpec) to dissect the light coming from the companions. 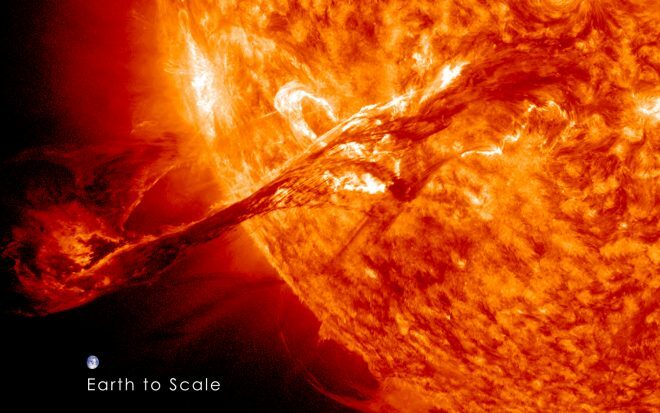 As the objects spin on their axes, light from the side that is turning toward us shifts to shorter, bluer wavelengths, while light from the receding side shifts to longer, redder wavelengths. The degree of this shifting indicates the speed of a rotating body. The results showed that the three companions’ spin rates ranged between six to 14 kilometers per second, similar to rotation rates of our solar system’s gas giant planets Saturn and Jupiter. For the study, the researchers also included the two planetary-mass companions for which spin rates had already been measured. One, β Pictoris b, has a rotation rate of 25 kilometers per second—the fastest rotation rate of any planetary-mass body measured so far. The researchers compared the spin rates for the five companions to those measured previously for small free-floating brown dwarfs. The ranges of rotation rates for the two populations were indistinguishable. In other words, the companions are whirling about their own axes at about the same speeds as their free-floating brown-dwarf counterparts. The results suggest two possibilities. One is that the planetary-mass companions are actually brown dwarfs. The second possibility is that the companions looked at in this study are planets that formed, just as planets do, out of disks of material swirling around their stars, but for reasons not yet understood, the objects ended up with spin rates similar to those of brown dwarfs. Some researchers think that both newly forming planets and brown dwarfs are encircled by miniature gas disks that might be helping to slow their spin rates. In other words, similar physical processes may leave planets and brown dwarfs with similar spin rates. The team also says that the companions are spinning more slowly than expected. Growing planets tend to be spun up by the material they pull in from a surrounding gas disk, in the same way that spinning ice skaters increase their speed, or angular momentum, when they pull their arms in. The relatively slow rotation rates observed for these objects indicate that they were able to effectively put the brakes on this spin-up process, perhaps by transferring some of this angular momentum back to encircling gas disks. The researchers are planning future studies of spin rates to further investigate the matter. For decades, astronomers have come at that question by confining their search to organisms broadly similar to the ones here. In 1976, NASA’s Viking landers examined soil samples on Mars, and tried to animate them using the kind of organic nutrients that Earth microbes like, with inconclusive results. Later this year, the European Space Agency’s ExoMars Trace Gas Orbiter will begin scoping out methane in the Martian atmosphere, which could be produced by Earth-like bacterial life. 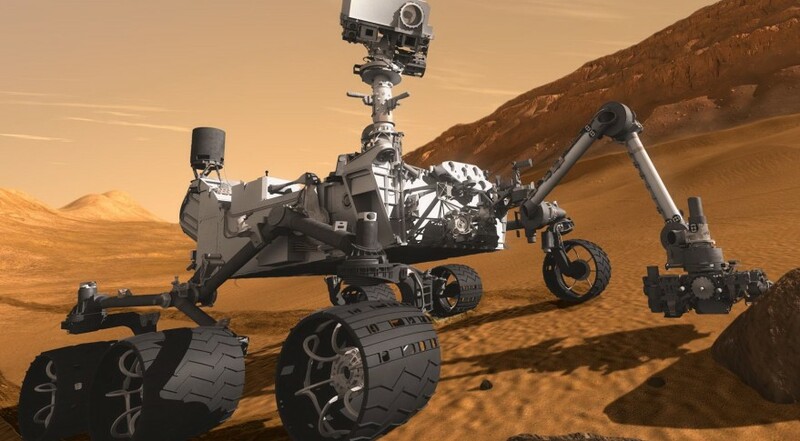 NASA’s Mars 2020 rover will likewise scan for carbon-based compounds from possible past or present Mars organisms. But the environment on Mars isn’t much like that on Earth, and the exoplanets that astronomers are finding around other stars are stranger still – many of them quite unlike anything in our solar system. For that reason, it’s important to broaden the search for life. We need to open our minds to genuinely alien kinds of biological, chemical, geological and physical processes. ‘Everybody looks for “biosignatures”, but they’re meaningless because we don’t have any other examples of biology,’ said the chemist Lee Cronin at the University of Glasgow. To open our minds, we need to go back to basics and consider the fundamental conditions that are necessary for life. First, it needs some form of energy, such as from volcanic hot springs or hydrothermal vents. That would seem to rule out any planets or moons lacking a strong source of internal heat. 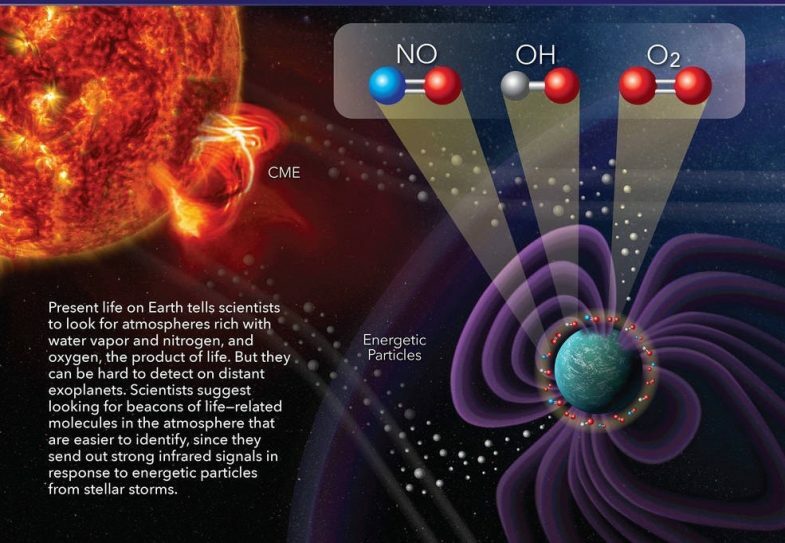 Life also needs protection from space radiation, such as an atmospheric ozone layer. Many newly discovered Earth-size worlds, including ones around TRAPPIST-1 and Proxima Centauri, orbit red dwarf stars whose powerful flares could strip away a planet’s atmosphere. Studies by the James Webb Space Telescope (JWST), set to launch next year, will reveal whether we should rule out these worlds, too. Finally, everything we know about life indicates that it requires some kind of liquid solvent in which chemical interactions can lead to self-replicating molecules. Water is exceptionally effective in that regard. It facilitates making and breaking chemical bonds, assembling proteins or other structural molecules, and – for an actual organism – feeding and getting rid of waste. That’s why planetary scientists currently focus on the ‘habitable zone’ around stars, the locations where a world could have the right temperature for liquid water on its surface. The search for exotic life therefore must begin close to home. The moons of Saturn and Jupiter offer a test case of whether biology could exist without an atmosphere. Jupiter’s Europa and Saturn’s Enceladus both have inner oceans and internal heat sources. Enceladus spews huge geysers of water vapour from its south pole; Europa appears to puff off occasional plumes as well. Future space missions could fly through the plumes and study them for possible biochemicals. 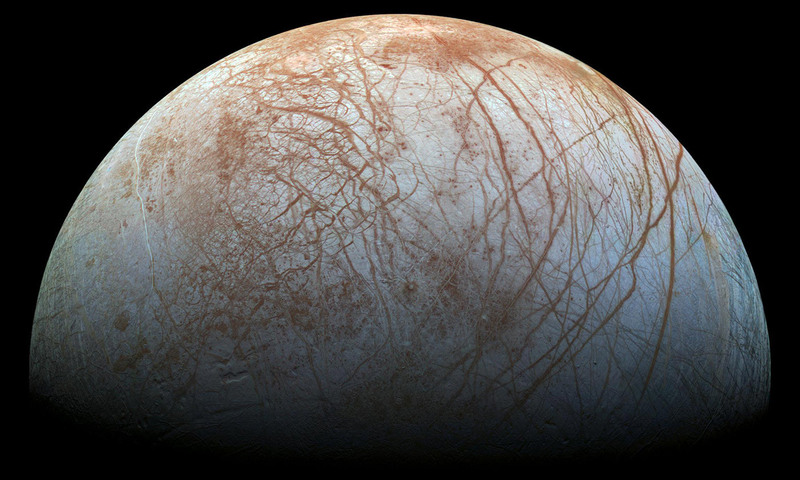 NASA’s proposed Europa lander, which could launch in about a decade, could seek out possible microbe-laced ocean water that seeped up or snowed back down onto the surface. Meanwhile, another Saturn moon, Titan, could tell us whether life can arise without liquid water. Titan is dotted with lakes of methane and ethane, filled by a seasonal hydrocarbon rain. Lunine and his colleagues have speculated that life could arise in this frigid setting. 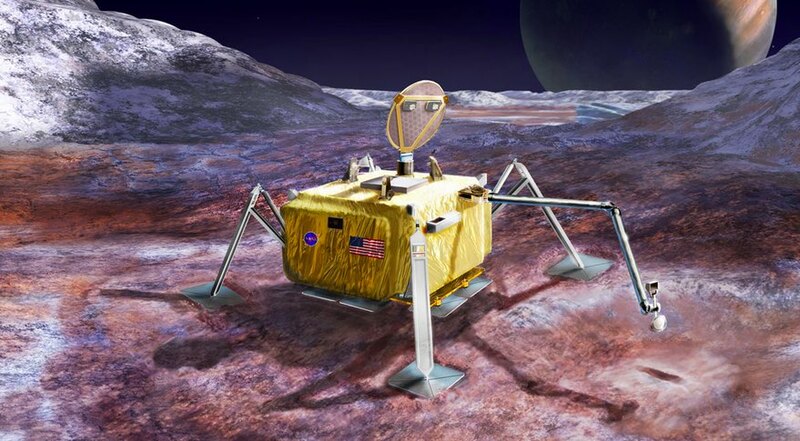 Several well-formulated (but as-yet unfunded) concepts exist for a lander that could investigate Titan’s methane lakes, looking for microbial life. For the motley bunch of exoplanets that have no analog in our solar system, however, scientists have to rely on laboratory experiments and sheer imagination. ‘We’re still looking for the basic physical and chemical requirements that we think life needs, but we’re trying to keep the net as broad as possible,’ Cable said. 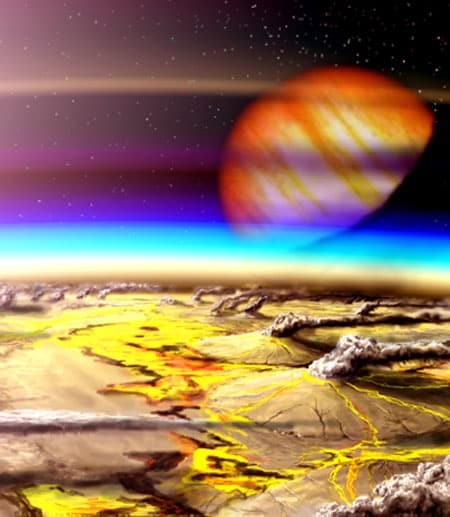 Exoplanet researchers such as Sara Seager at the Massachusetts Institute of Technology and Victoria Meadows at the University of Washington are modelling disparate types of possible planetary atmospheres and the kinds of chemical signatures that life might imprint onto them. Now the onus is on NASA and other space agencies to design instruments capable of detecting as many signs of life as possible. Most current telescopes access only a limited range of wavelengths. ‘If you think of the spectrum like a set of venetian blinds, there are only a few slats removed. That’s not a very good way to get at the composition,’ Lunine said. In response, astronomers led by Seager and Scott Gaudi of the Ohio State University have proposed the Habitable Exoplanet Imaging Mission (HabEx) for NASA in the 2030s or 2040s. It would scan exoplanets over a wide range of optical and near-infrared wavelengths for signs of oxygen and water vapour. Casting a wide search for ET won’t be easy and it won’t be cheap, but it will surely be transformative. Even if astrobiologists find nothing, that knowledge will tell us how special life is here on Earth. And any kind of success will be Earth-shattering. Finding terrestrial-style bacteria on Mars would tell us we’re not alone. Finding methane-swimming organisms on Titan would tell us, even more profoundly, that ours is not the only way to make life. Either way, we Earthlings will never look at the cosmos the same way again. Since 2012, Aeon has established itself as a unique digital magazine, publishing some of the most profound and provocative thinking on the web. We ask the big questions and find the freshest, most original answers, provided by leading thinkers on science, philosophy, society and the arts. Ideas – Short provocations, maintaining Aeon’s high editorial standards but in a more nimble and immediate form. Our Ideas are published under a Creative Commons licence, making them available for republication. Through our Partnership program, we publish pieces from university research groups, university presses and other selected cultural organisations. Aeon was founded in London by Paul and Brigid Hains. It now has offices in London, Melbourne and New York. We are a not-for-profit, registered charity operated by Aeon Media Group Ltd. Aeon is endorsed as a Deductible Gift Recipient (DGR) organisation in Australia and, through its affiliate Aeon America, registered as a 501(c)(3) charity in the US. We are committed to big ideas, serious enquiry and a humane worldview. That’s it. A new study by an international team of astronomers reveals that Tau Ceti, the nearest Sun-like star about 12 light years away from the Sun, has four Earth-sized planets orbiting it. These planets have masses as low as 1.7 Earth mass, making them among the smallest planets ever detected around the nearest Sun-like stars. Two of them are Super-Earths located in the habitable zone of the star and thus could support liquid surface water. The data were obtained by using the High Accuracy Radial Velocity Planet Searcher (HARPS) spectrograph at the European Southern Observatory in Chile, combined with the High-Resolution Echelle Spectrometer (HIRES) at the W. M. Keck Observatory on Maunakea, Hawaii. 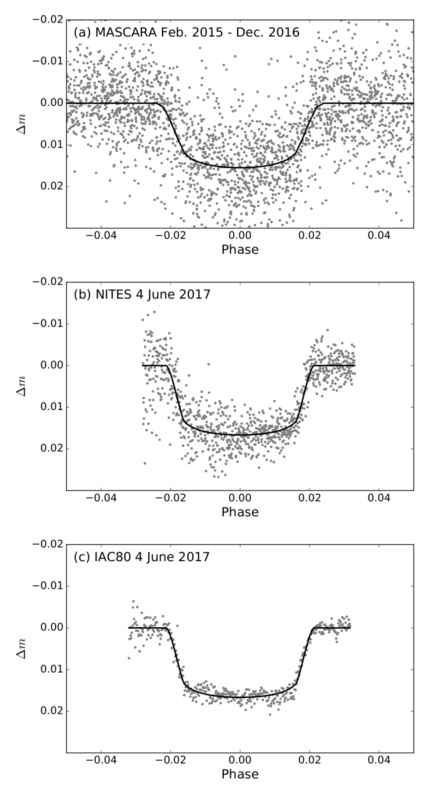 The four planets were detected by observing the wobbles in the movement of Tau Ceti. This wobble, known as the Doppler effect, happens when a planet’s gravity slightly tugs at its host star as it orbits. Measuring Tau Ceti’s wobbles required techniques sensitive enough to detect variations in its movement as small as 30 centimeters per second. The smaller the planet, the weaker its gravitational pull on its host star, and the harder it is to detect the star’s wobble. 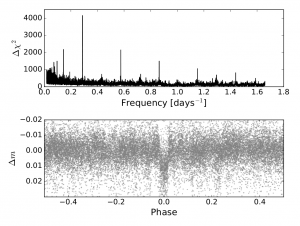 The same team also investigated Tau Ceti four years ago in 2013, when Dr. Mikko Tuomi led an effort in developing data analysis techniques and used the star as a benchmark case. “We came up with an ingenious way of telling the difference between signals caused by planets and those caused by a star’s activity. We realized that we could see how a star’s activity differed at different wavelengths, then used that information to separate this activity from signals of planets,” said Dr. Tuomi. Sun-like stars are thought to be the best targets for searching for habitable Earth-sized planets due to their similarity to the Sun. Unlike more common smaller stars such as the red dwarf stars Proxima Centauri and Trappist-1, they are not so faint that planets would be tidally locked, showing the same side to the star at all times. Tau Ceti is very similar to the Sun in its size and brightness, and they both host multi-planet systems. If the outer two planets are found to be habitable, Tau Ceti could be an optimal target for interstellar colonization, as seen in science fiction. “Such weak signals of planets almost the size of the Earth cannot be seen without using advanced statistical and modeling approaches. We have introduced new methods to remove the noise in the data in order to reveal the weak planetary signals,” said Dr. Feng. The High-Resolution Echelle Spectrometer (HIRES) produces spectra of single objects at very high spectral resolution, yet covering a wide wavelength range. It does this by separating the light into many “stripes” of spectra stacked across a mosaic of three large CCD detectors. HIRES is famous for finding planets orbiting other stars. Astronomers also use HIRES to study distant galaxies and quasars, finding clues to the Big Bang. Color difference makes a difference: four planet candidates around tau Ceti, The Astrophysical Journal. Authors: G.J.J. Talens, A. B. Justesen, S. Albrecht, et al. Before we start: the system discussed in this astrobite was discovered separately by two teams and presented simultaneously. The other paper, by the KELT team, can be found here. This astrobite will focus on the results of the MASCARA team. It’s clear that there are a lot of exoplanets out there. While large surveys like K2 continue to bring in hundreds of new planets, other projects are filling in the gaps that these surveys miss. The relatively new project MASCARA intends to find planets around the brightest host stars yet. They are targeting stars with magnitudes less than 8.4 (remember that fainter stars have higher magnitudes). For comparison, that’s still fainter than the human eye can see (magnitude 6 or less), but it’s a fair bit brighter than the Kepler space telescope can see (Kepler saturates on stars brighter than about 11th magnitude). There are currently only 14 exoplanet host stars known that are brighter than 8.4th magnitude, with the brightest being KELT-9 at a magnitude of 7.56. These exoplanets around bright stars are interesting because it’s so much easier to do follow-up observations on them. In particular, in-depth studies of exoplanet atmospheres — which require collecting starlight that has passed through the exoplanet atmosphere, and studying how the atmosphere has affected the starlight — are much easier when the exoplanet orbits bright stars like these, simply because there are so many more photons that reach us. 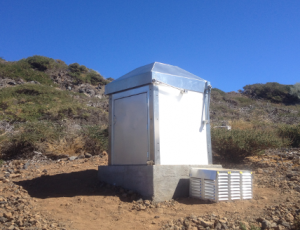 The MASCARA team operate a station at the La Palma observatory in Spain, observing the northern sky. Like many astronomical acronyms, MASCARA takes a bit of imagination: it stands for the Multi-site All-Sky CAmeRA. The station consists of five cameras, one each pointing North, South, East and West, and the fifth pointing straight up. Between them they can cover the whole visible sky. The cameras remain motionless while the stars pass overhead. Like Kepler, MASCARA is looking for exoplanet transits — the dip in a star’s light that means a planet is passing between us and the star. To do this, they take a series of six-second images with each camera. By identifying the same stars between images, and taking into account any atmospheric effects such as passing clouds, they can search each star for dips in brightness that might be exoplanet transits. MASCARA-2b is the second exoplanet to be discovered by this method, but the first to be published (MASCARA-1b is also in the works, but 2b was pushed ahead in the queue because of a simultaneous discovery by another team). From the MASCARA data in Figure 2, a clear transit can be seen every 3.47 days. To follow this up, the team observed transits with the NITES, IAC80 and SONG telescopes. 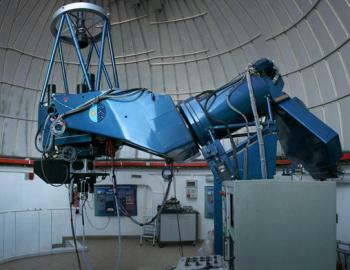 The IAC 80 telescope of the Observatorio del Teide. Danish led SONG telescope i the Canary Islands, Spain. To emphasise how bright this star is compared to the usual astronomical targets: these are small telescopes — NITES in particular is only 40cm in diameter. Even these telescopes however had to be kept deliberately out-of-focus, blurring the resulting image and spreading the star’s light over more pixels, because otherwise there would be a danger of saturating the image. This practise is not uncommon for larger telescopes, but it’s surprising to see it necessary on these rather smaller telescopes. Figure 2: Searching for strong periods in the MASCARA data (top) and then wrapping data around on that period to see the transit shape (bottom). This is Figure 1 in today’s paper. Figure 3: Transits observed with MASCARA (top), NITES (middle) and IAC80 (bottom). Source: Figure 2 in today’s paper. The host star has a magnitude of 7.58, narrowly missing the record. It’s also an A-type star, towards the hotter end of the spectrum, and as such the star spins on its axis faster than the average star does. Generally fast rotation makes spectroscopic measurements difficult, as the difference Doppler shift between opposite sides of the star smears out the spectral lines that we’re interested in. Aided by the system’s brightness, however, the team were able to obtain spectra that were high-enough quality to overcome this difficulty. They found that the planet is a hot Jupiter, orbiting at around 6% of the Earth-Sun separation, and that it has a radius around double that of Jupiter itself. They also found that the planet’s orbit is quite well aligned with the direction that the star spins — this is unusual for hot Jupiters in systems like this, which generally seem to orbit with a slight tilt. The team hope that the system is well-placed for follow-up studies of the planet’s atmosphere, adding to the fairly small pool of planets in which such studies are possible. The MASCARA team is currently building a second MASCARA instrument in Chile, where it will be able to explore the southern sky — at present, only two of the fourteen brightest exoplanet hosts are southern. This same planet was simultaneously discovered by KELT, another project exploring the same types of stars. This is a growing area of exoplanet research, so look for further interesting results in the future! One of the most challenging and exciting areas of astronomy today is the search for exoplanets — other worlds orbiting other stars. The exoplanet HIP 65426b has recently been discovered using the SPHERE (Spectro-Polarimetric High-contrast Exoplanet REsearch instrument) instrument on ESO’s Very Large Telescope (VLT). Some 385 light-years from us, HIP 65426b is the first planet that SPHERE has found  — and it turns out to be a particularly interesting one. The planet is warm (between 1000 and 1400 degrees Celsius), and is between six and twelve times the mass of Jupiter. It seems to have a very dusty atmosphere filled with thick cloud, and it orbits a hot, young star that rotates surprisingly fast. Unusually, given its age, the star does not appear to be surrounded by a disc of debris, and the absence of a disc raises puzzling questions about how the planet formed in the first place. The planet may have been formed in a disc of gas and dust and when the disc rapidly dissipated, it interacted with other planets to move to a more distant orbit, where we see it now. Alternatively, the star and the planet may have formed together as a binary system in which the more massive component prevented the other would-be star from accumulating sufficient matter to actually become a star. The planet’s discovery gives astronomers the opportunity to study the composition and location of clouds in its atmosphere, and to test theories of the formation, evolution, and physics of exoplanets. SPHERE is a powerful planet finder installed on Unit Telescope 3 of the VLT. Its science goal is to detect and study new giant exoplanets around nearby stars using the direct imaging method . This method aims to directly capture images of exoplanets and debris discs around stars, rather like taking a photograph. Direct imaging is difficult because the light of a star is so powerful that the feeble light reflected by orbiting planets is overwhelmed by the starlight. But SPHERE is cleverly designed to bypass this obstacle and to look specifically for the polarised light reflected off a planet’s surface. 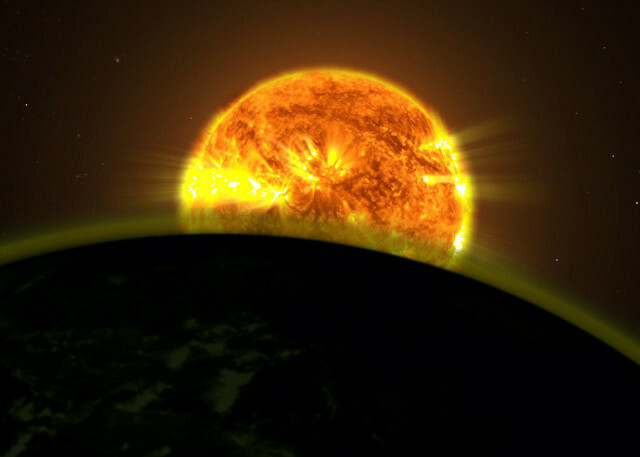 This image was captured as part of a survey programme called SHINE (SpHere INfrared survey for Exoplanets). SHINE aims to image 600 young nearby stars in the near-infrared using SPHERE’s high contrast and high angular resolution to discover and characterise new planetary systems and explore how they formed. A previous ESO press release reported an earlier SPHERE observation that was interpreted as a planet. However, that interpretation has been called into doubt and so HIP 65426b is currently the first reliable detection of an exoplanet by SPHERE. When scouring the Universe for exoplanets, astronomers have numerous tools at their disposal. Many planet detection methods are indirect — astronomers can detect the tell-tale dip in a star’s brightness when a planet transits across its face, or measure the tiny wobble in a star’s motion caused by the gravitational tug of any orbiting planets. However, there is a more direct method of finding an exoplanet: direct imaging. A new laser at the AAT! Last week we took delivery of the new laser frequency comb for the Veloce spectrograph (https://newt.phys.unsw.edu.au/~cgt/Veloce/Veloce.html), which will replace the AAT’s venerable UCLES instrument early next year. The laser frequency comb will provide Veloce with an ultra-stable calibration source, enabling it to separate tiny Doppler shifts in the wavelength of light from a star caused by orbiting exoplanets from slight drifts in the instrument itself. With this Veloce will be able to measure Doppler shifts of less than 1 part in 300 000 000, equivalent to measuring the motion of a star to a precision of less than 3.6 kilometres per hour! The Australian Astronomical Observatory, a division of the Department of Industry, Innovation and Science, operates the Anglo-Australian and UK Schmidt telescopes on behalf of the astronomical community of Australia. To this end the Observatory is part of and is funded by the Australian Government. 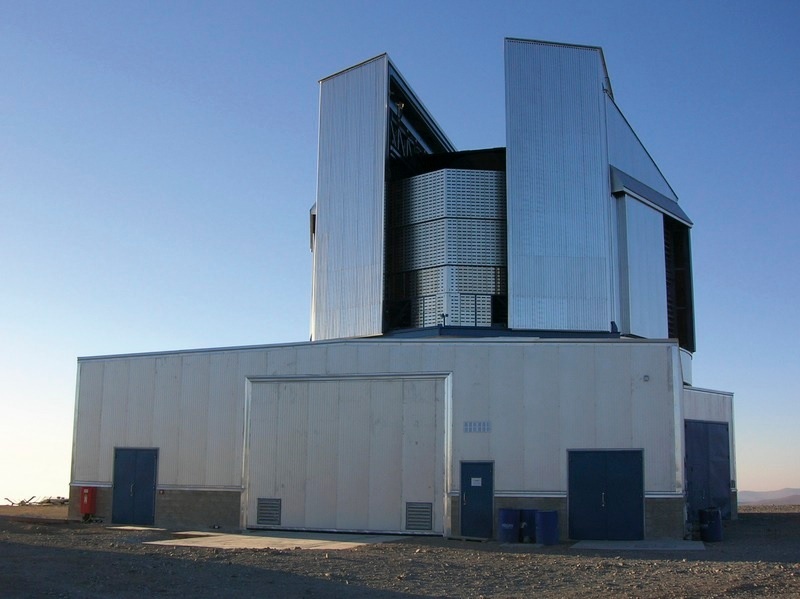 Its function is to provide world-class observing facilities for Australian optical astronomers. When it comes to exploring exoplanets, it may be wise to take a snorkel along. A new study, published in a paper in the journal Monthly Notices of the Royal Astronomical Society, has used a statistical model to predict that most habitable planets may be dominated by oceans spanning over 90% of their surface area. The author of the study, Dr Fergus Simpson of the Institute of Cosmos Sciences at the University of Barcelona, has constructed a statistical model – based on Bayesian probability – to predict the division between land and water on habitable exoplanets. For a planetary surface to boast extensive areas of both land and water, a delicate balance must be struck between the volume of water it retains over time, and how much space it has to store it in its oceanic basins. Both of these quantities may vary substantially across the full spectrum of water-bearing worlds, and why the Earth’s values are so well balanced is an unresolved and long-standing conundrum. Simpson’s model predicts that most habitable planets are dominated by oceans spanning over 90% of their surface area. 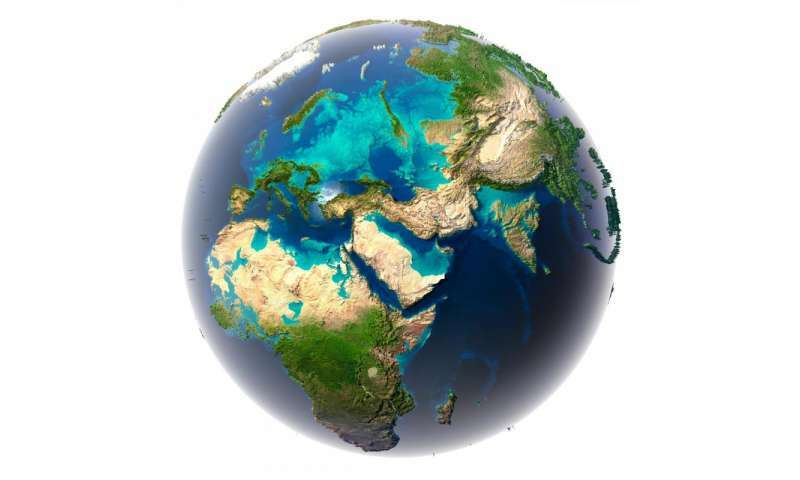 This conclusion is reached because the Earth itself is very close to being a so-called ‘waterworld’ – a world where all land is immersed under a single ocean. “A scenario in which the Earth holds less water than most other habitable planets would be consistent with results from simulations, and could help explain why some planets have been found to be a bit less dense than we expected,” explains Simpson. In the new work, Simpson finds that the Earth’s finely balanced oceans may be a consequence of the anthropic principle – more often used in a cosmological context – which accounts for how our observations of the Universe are influenced by the requirement for the formation of sentient life. “Based on the Earth’s ocean coverage of 71%, we find substantial evidence supporting the hypothesis that anthropic selection effects are at work,” comments Simpson. To test the statistical model Simpson has taken feedback mechanisms into account, such as the deep water cycle, and erosion and deposition processes. He also proposes a statistical approximation to determine the diminishing habitable land area for planets with smaller oceans, as they become increasingly dominated by deserts. Why did we evolve on this planet and not on one of the billions of other habitable worlds? In this study Simpson suggests the answer could be linked to a selection effect involving the balance between land and water. “Our understanding of the development of life may be far from complete, but it is not so dire that we must adhere to the conventional approximation that all habitable planets have an equal chance of hosting intelligent life,” Simpson concludes. HIRES instrument helps detect potential exoplanets. Artist’s conceptions of the probable planet orbiting a star called GJ 411, courtesy of Ricardo Ramirez. An international team of astronomers today released a compilation of almost 61,000 individual measurements made on more than 1,600 stars, used to detect exoplanets elsewhere in our Milky Way galaxy. The compilation includes data on over 100 new potential exoplanets. The entire dataset was observed using one of the twin telescopes of the W. M. Keck Observatory on Maunakea over the past two decades. The search for new worlds elsewhere in our Milky Way galaxy is one of the most exciting frontiers in astronomy today. The paper is published in the Astronomical Journal. The astronomers used a highly specialized instrument called the High Resolution Echelle Spectrometer, or HIRES, mounted on the 10-meter Keck-I telescope. The instrument detects tiny wobbles of nearby stars caused by the gravitational pull of planets orbiting those stars -a sensitive and challenging phenomenon to measure. Powerful instrumentation and sophisticated algorithms are needed to extract the signature of the exoplanets. Contributors to the international team include representatives from the Carnegie Institution for Science, University of California at Santa Cruz, Yale University, University of Hertfordshire, and Universidad de Chile. KCWI arrived by ship from Los Angeles on January 20 and was carefully transported up to the observatory atop Maunakea. The instrument will be installed and tested, followed by the first observations in the coming months.